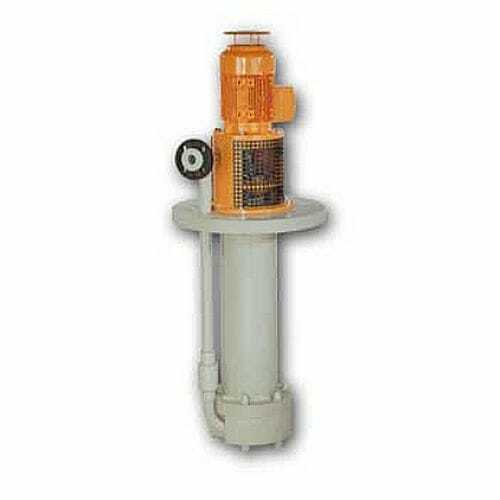 The type TNP-KL vertical chemical pump has been engineered to pump acids, chemically contaminated fluids, corrosive media and effluents directly from pump sumps, pump tanks, storage tanks or basins. The pump is available for wet-end and dry-end arrangements. It has a setting depth of up to 3.000 mm and can be extended to max. 4.600 mm by a suction pipe.